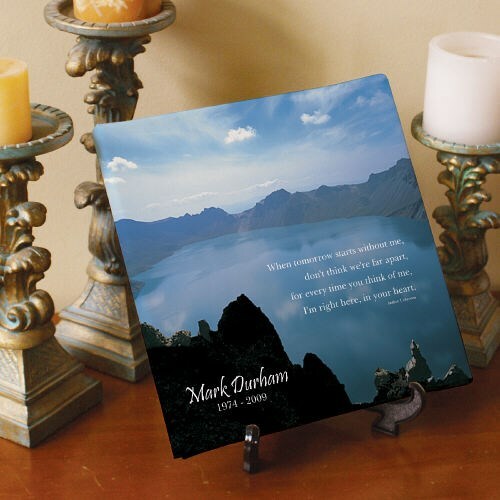 Create a special way to honor a loved one with this beautiful, Personalized Memorial Canvas. With its tranquil scene and soft color palette, this Memorial Canvas makes a beautiful piece of artwork that is suitable for anyone’s home. Additional Info MyWalkGear.com offers an entire selection dedicated to Memorial & Sympathy Gift Ideas. View our beautiful collection to also find our Engraved Memorial Teardrop & our Memorial Wall Cross as well.